The Briton CO-100 Offline Electronic Lock, launched by Ingersoll Rand Security Technologies, offers an ideal solution for smaller premises looking to improve their security quickly and cost-effectively. 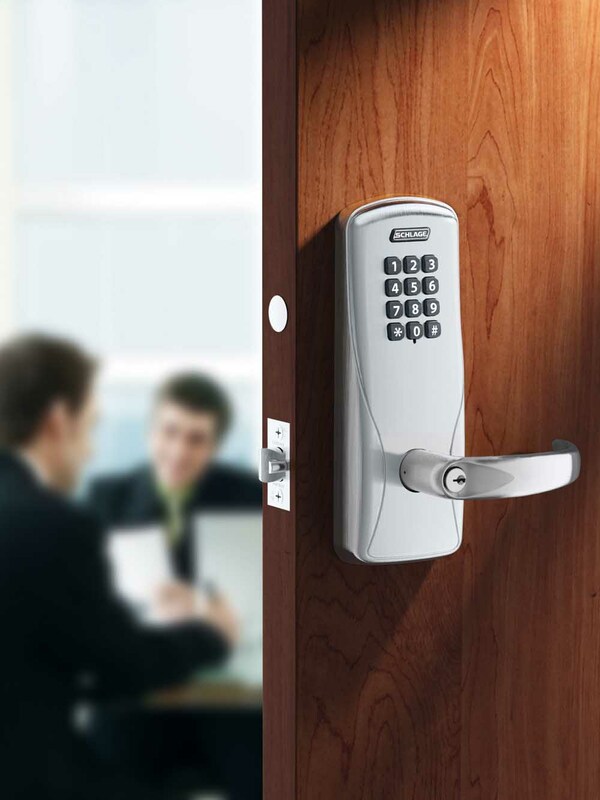 The CO-100 provides an opportunity to replace or enhance traditional mechanical key systems, which can be difficult to manage and upgrade to electronic access control without the cost or complexity of a fully networked system. The battery-operated lock can be manually programmed assigning unique PIN codes to users which can be easily added or deleted at any time, offering a flexible but secure solution. The lock requires minimal maintenance as security codes can be programmed at the door and four AA batteries will power the lock for around two years. The CO-100 has passed rigorous ANSI/BHMA 156.25 grade 1 certification and is UL294 listed. Melanie Bridge, Product Category Manager at Ingersoll Rand Security Technologies, said: 'The CO-100 gives customers the chance to easily upgrade to electronic access control. The lock is keypad programmable which means that users can have personal access codes for added security without complication.